Chuck Norris Will Not Return in The Expendables 3! It's no secret that The Expendables 3 is on the fast track, especially with the latest sequel The Expendables 2 opening number one at the box office this last weekend. While many speculate who'll get dusted off and pulled out of retirement for this third installment, we now know of one Lone Wolf who won't be back. That's right, Chuck Norris, who garners some of the loudest applause in The Expendables 2 when he steps out of the smoke to single-handedly eviscerate a small army, is limiting himself to just this one appearance in the franchise. Here is the video of his announcement on Access Hollywood, followed by his comments. About returning in The Expendables 3, Chuck Norris had this to say. "Nope. Just number 2. This is it for me. Oh, yeah. This is very special. Just to be able to do the film with guys I've known for many, many years. To get a chance to get in and fight with them, it was a lot of fun. Plus getting a chance to meet Terry Crews, who I hadn't met before. And Jason Statham, whom I hadn't met before. It was fun just to do that." 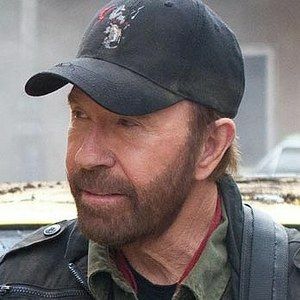 Some of you may remember that it was Chuck Norris who started the PG-13 rumor, saying that he wouldn't be in the film if it was R rated. Which it eventually was. It's not known if the overt violence, bloodshed, and swearing is what is keeping him away from further installments in this hit action franchise. Sylvester Stallone and company are looking to replace Chuck Norris with a number of big name oldies, including Clint Eastwood, Harrison Ford, and the bones of ol' John Wayne. Personally, we're rooting for the return of Kurt Thomas in hopes that he can recreate his famous pommel horse scene from Gymkata in taking out the bad guys!